Scratch 3.0 apparently broke all of my best projects, including Scratchnopoly and Mii Maker, and it prevents me from making any new projects. Because of this, I will be leaving Scratch soon. Farewell! 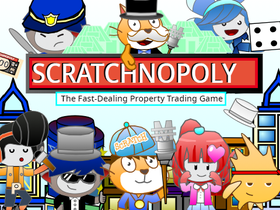 Scratchnopoly - The Scratch Edition! August 2017 Best Project Contest!